Britain’s most spectacular caves and legendary home of the infamous Witch of Wookey. 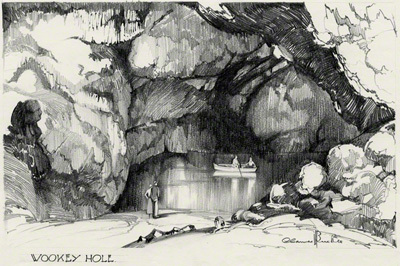 Claude Buckle captures the limestone cave Wookey Hole in his pencil drawing drawn in the 1930's. Revamped, restored and totally remarkable, the new Wookey Hole Experience is bursting onto the 2013 holiday scene in an explosive mix of HISTORY, MYSTERY & FUN! To this day a very popular torist destination. This limestone formation with the Cheddar Gorge, another Claude Buckle pencil drawing, just up the road in the direction of Western-Super-Mare is to this day a very popular tourist destination. The Wookey Hole cave is also used to mature cheddar cheeses. 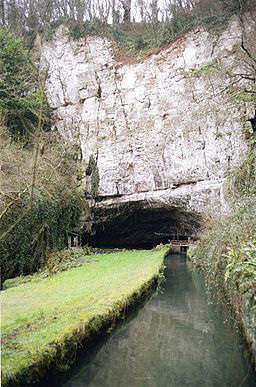 Wookey Hole is 2 miles from the beautiful medieval city of wells, and 20 miles from Bath(A39), Bristol(A37) and Weston Super Mare (A371) in Somerset. Wookey Hole Caves is a show cave and tourist attraction in the village of Wookey Hole on the southern edge of the Mendip Hills near Wells in Somerset, England. 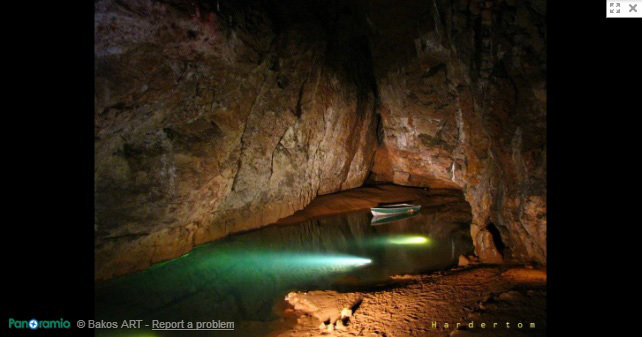 Wookey Hole cave was formed through erosion of the limestone hills by the River Axe. Before emerging at Wookey Hole the water enters underground streams and passes through other caves such as Swildon's Hole and St Cuthbert's Swallet. After resurging, the waters of the River Axe are used in a handmade paper mill, the oldest extant in Britain, which began operations circa 1610, although a corn grinding mill operated there as early as 1086.